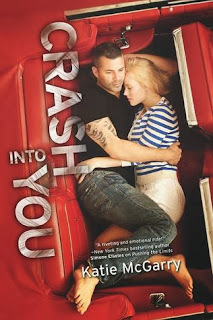 Crash Into You is the third book in the pushing limits series, having not read the first two books before, I was unsure what Crash Into You was going to be like. Though from the first couple of pages I was hooked by the storyline and characters that fill the pages. Crash Into You is set in two points of view, Rachel and Isaiah. Both from different backgrounds and not much in common apart from one thing, their love of cars. Rachel uses her beloved Mustang GT to get away from the problems she has, whereas Isaiah uses driving to make easy money but when they meet unexpectedly they are thrown together whether they like it or not. Rachel isn't like Isaiah; she has a excellent school record, the perfect car that is solely her own and a family that is anything but normal. Though her parents only seemed to have her and her two brothers to replace their older sister who died, and that made Rachel think that she has to live up to all of their expectations. Though, Isaiah has never really gotten on with his family or foster family and finds comfort in Noah, his best friend and roommate. Isaiah has always got by, by himself, never needing help from anyone but when he meets Rachel he can't explain why he feels he way he does about her. Though with his love of racing, sometimes not everything is thrilling and making a deal with the devil i.e. Eric the person in charge of the race, is just as bad. In the six weeks that follow their meeting, it is like nothing either of them expected. The connection that Rachel and Isaiah share is unlike any other, their unique bond is a strong base for this amazing story. Crash Into You is a romantic and fulfilling story about life on the edge. Full of unexpected turns and how two people so different from each other can be perfect for each other at the same time. If I had to sum this book up in a sentence, it would be, "A thrilling story about two people, both so different yet share a need for speed." 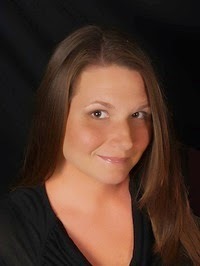 Crash Into You is a romantic and fulfilling story about life on the edge. I would recommended this book to anyone who loves books by Abbi Glines, K. A. Tucker or Colleen Hoover. I really loved reading this brilliant story. I would defiantly read another book by Katie McGarry. With thanks to Mira Ink and Harlequin Teen for sending my sister (Becca Jayne - Pretty Little Memoirs, YA Book Blog) ARC's for review.